WASHINGTON — U.S. banks' earnings in the April-June period rose 1.4 percent from a year earlier as growth in lending fueled interest income. The data issued Tuesday by the Federal Deposit Insurance Corp. showed continued strength in the banking industry eight years after the financial crisis struck. However, the impact of low oil prices on energy companies led banks to continue to post bigger losses on commercial and industrial loans. The FDIC reported that U.S. banks earned $43.6 billion in the second quarter, up from $43 billion a year earlier. It marks a record profit for the industry. Around 60 percent of banks reported an increase in profit from a year earlier. Only 4.5 percent of banks were unprofitable, down sharply from 5.8 percent in the second quarter of 2015. Still, banks are still operating in a "challenging environment," FDIC Chairman Martin Gruenberg said. Profits from interest on loans and return on assets remained low by historic standards in the second quarter, while losses on loans continued to increase. Low interest rates have been crimping banks' profit margins on loans. Falling oil prices have hurt oil and gas producers, and made it harder for them to repay their loans. Higher interest rates could be on the horizon. Federal Reserve Chair Janet Yellen said last week that the case for the Fed raising interest rates has been bolstered by a solid job market and an improved outlook for the U.S. economy and inflation. But she stopped short of offering any timetable. The central bank's policymakers are scheduled to meet next on Sept. 20-21. If rates increase, "that will be a double-edged sword for the industry," Gruenberg noted at a news conference. Banks could earn more interest on loans. At the same time, it could increase the cost for banks to borrow to fund the loans they make. As a sign of a healthy banking industry, lending overall in the second quarter grew by 2 percent to $181.9 billion, with the largest increases coming in home mortgages, other real estate loans and credit cards. The volume of commercial and industrial loans that are 90 days or more past due continued to increase, but at a slower rate than in the first quarter — which saw the biggest quarterly increase since the first quarter of 1987. The amount of loans overall that were written off in the second quarter rose $1.2 billion, or 13.1 percent, from the same period last year. Most of the increase occurred in commercial and industrial loans. The number of banks on the FDIC's confidential "problem list" fell to 147 from 165 in the first quarter. The 147 banks requiring special monitoring by the agency's examiners is the smallest number in eight years. The number of bank failures continues to slow. So far this year, four banks have failed. Six had been shuttered by this time last year. Failures declined from 24 in 2013 to 18 in 2014 and only eight last year. They are down sharply from 157 in 2010 — the most in one year since the height of the savings and loan crisis in 1992. 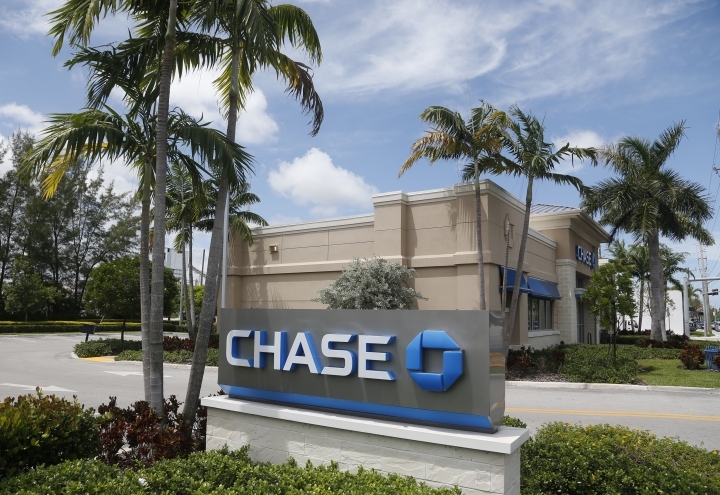 Normally in a strong economy, an average of four or five banks closes annually. The decline in bank failures has allowed the deposit insurance fund to strengthen. The fund, which turned from deficit to positive in the second quarter of 2011, had a $77.9 billion balance at the end of June, according to the FDIC. That was up from $75.1 billion at the end of the first quarter. The FDIC was created during the Great Depression to insure bank deposits. It monitors and examines the financial condition of U.S. banks. The agency guarantees bank deposits up to $250,000 per account.